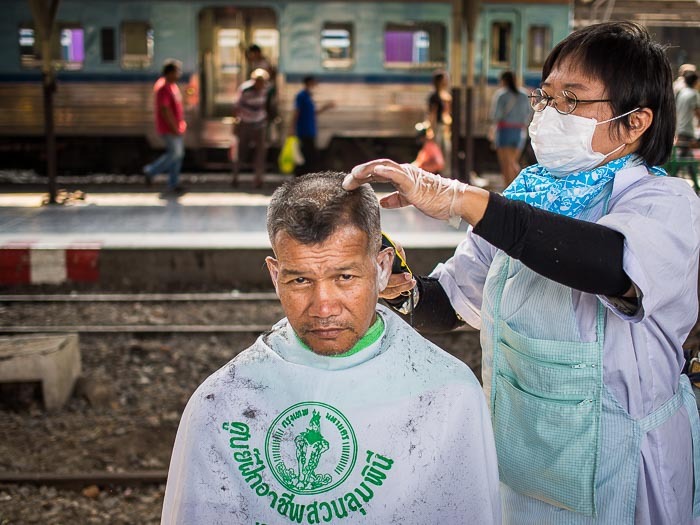 A man gets a free haircut on the platform at Hua Lamphong Railway Station in Bangkok. 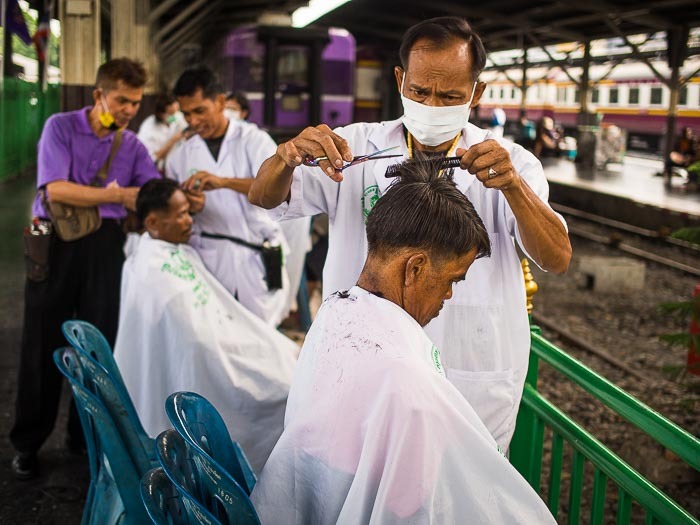 I was walking through Hua Lamphong Train Station this week and saw a line of people getting haircuts at the west end of the platforms. 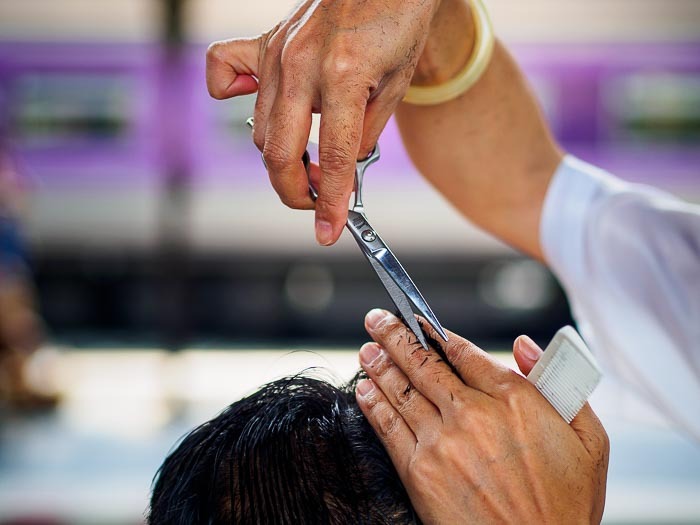 There six or seven chairs set up, each occupied by a man getting a haircut. A little off the top? The instructor (background, purple shirt) helps a student. There was a line of men and boys waiting their turn in the chair. I think it was a barber school offering free haircuts to holiday travelers (it was the end of Songkran, the Thai traditional New Year). It seemed to me like a good idea. You have time to kill before your train pulls out, you need a haircut and the students need live heads to work on. Everyone wins. There are lots of photos of Bangkok's main train station and Thailand's trains in my archive.